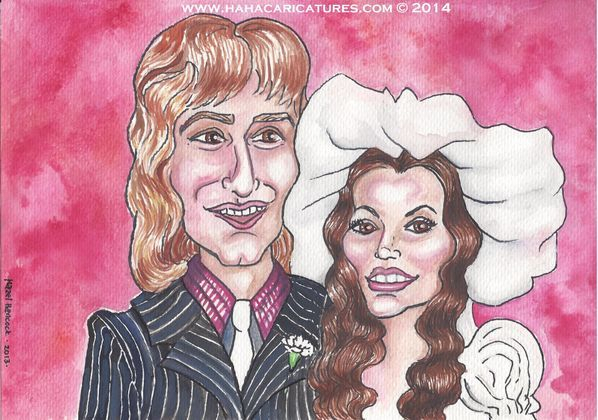 As well having a caricaturist perform live, why not get a caricature of the bride & groom? Unlike official photographs; a caricature doesnt have to be limited with stuffy formalities.... or even by reality! You can have all of your outfit recorded for posterity, add a montage of your favourite elements of the day, not to mention including your wedding colours. 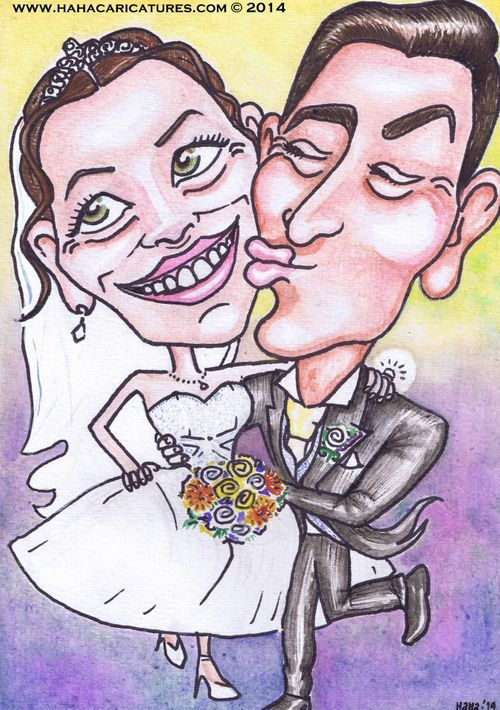 As a wedding guest, a caricature makes a unique gift and can be as unique as the happy couple themselves. If you are a bride- or groom-to-be - why not include your caricature in your thank you cards or as a printed memento for guests to take home? Also, a caricature makes a fantastic and thoughtful anniversary gift! Q: Can you guess what year the couple below got married in? A: Did the hairstyle give it away?